Billy Thorpe and the Aztecs were an Australian pop and rock group dating from the mid-sixties. The group enjoyed huge success in the mid-1960s, but split in 1967. They re-emerged in the early Seventies to become one of the most popular Australian hard-rock bands of the period. As is typical of many Australasian groups of the era, The Aztecs went through many incarnations. Originally formed in Sydney in 1963, the first lineup consisted of lead singer Billy Thorpe, whose powerful voice and showmanship have made him one of the most popular and respected rock performers in Australian music. As is typical of many Australasian groups of the era, The Aztecs went through many incarnations. 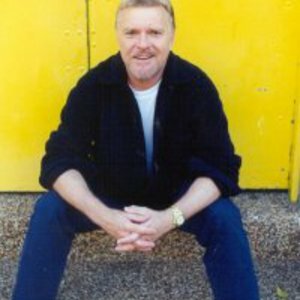 Originally formed in Sydney in 1963, the first lineup consisted of lead singer Billy Thorpe, whose powerful voice and showmanship have made him one of the most popular and respected rock performers in Australian music. The rest of the group comprised drummer Col Baigent, bassist John "Bluey" Watson and guitarists Tony Barber and Vince Maloney (who later played with The Bee Gees). After the group disbanded he released solo material and in 1979 released the epic rock album "Children of the Sun". In 1991 Billy Thorpe was inducted into the ARIA Hall of Fame. In the late 1990s Billy Thorpe returned to Australia, where he was recognised as one of the elder statesmen of Australian music. His talent and his powerpacked voice were virtually untouched by the passing of the years and he continued to perform around the country. Billy died on February 27, 2007 of a massive heart attack in Sydney, Australia. He was 60 years old.